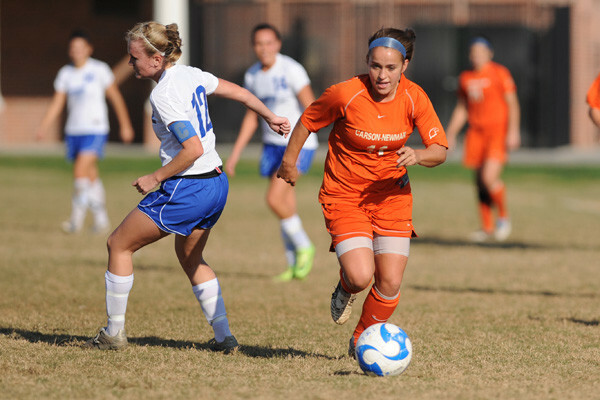 The Carson-Newman University Women’s Soccer Residential Camp will be from June 23 to June 26, . It is a 4-day training camp for 11 to 18 years old girl soccer players. This event is an initiative of the respectable Carson-Newman University women’s soccer coaching staff as well as its current players. This training experience will be vital for the development of young players who aspires to play at the collegiate level. The camp will provide participant an experience on what it is like to train and compete like in the college level. Overall, the event will emphasize technical and tactical improvement for each attendee. The coaching staff will also provide valuable assessments and evaluations to every camper. Each registration includes a camp t-shirt and meals and housing for the duration of the program. Carson-Newman University is a private coeducational university in Jefferson City, Tennessee. It is a member of the Tennessee Baptist Convention and the Council of Independent Colleges. The university is 59th in the Regional Universities South, edition of Best Colleges rankings. It is also 13th in Best Value Schools and 34th in Best Colleges for Veterans rankings. Currently, it has around 2,500 undergraduate and graduate students. The student to faculty ratio is 11 is to 1. Furthermore, the university sponsors 18 intercollegiate sports teams. They are playing in the South Atlantic Conference of NCAA Division 2. Their nickname is Eagles while blue and orange are their identity colors. The Carson-Newman University women’s soccer team has already 7 SAC Regular Season Championships. Simon Duffy is the Carson-Newman University women’s soccer head coach. He is the former head coach of the Mossy Creek women’s soccer team. During his playing days, Coach Duffy is a 2-time All-Mid-South Conference selection. In addition, Coach Simon Duffy is a USSF National ‘A’ Coaching License and an NSCAA Premier Diploma holder. Then, the Eagles women’s soccer assistant coaches are Rob Ward, Marissa Williams, and Wayne Harvey. Join the Carson-Newman University Women's Soccer Residential Camp. It will be an experience on what it is like to train and compete at the collegiate level.